Even if you’ve found a great Irish digital marketing training scheme or consultant, managin g a website development process can still feel like a pretty daunting task. To make things a little easier for you, we’ve put together some advice on how to manage the process so that you hit your deadlines and deliver a working website on time and on budget. Nothing slips up a website development project more easily than project managers who are too ambitious about what can be done within their timescale. When you’re planning your project, it’s important that you understand how long each individual task will take and where possible, that you leave extra time for any issues that may arise once the project has kicked off. While the development timescale may look very long when you’re planning the project at the outset, you’ll thank yourself for every extra hour you left once the clock is ticking down towards your deadline. Another key tip is dealing with issues as soon as they arise, before they’re able to grow arms and legs and become showstoppers. This is where time managing your digital marketing website development project becomes absolutely critical. If you don’t have a handle on things from the outset, you risk losing control of the project at a later stage completely. Make sure that you’re aware of what everyone in your team is doing and don’t be afraid to challenge them if something doesn’t look right. It’s better to be the person who asked too many questions than the person who didn’t deliver on time. 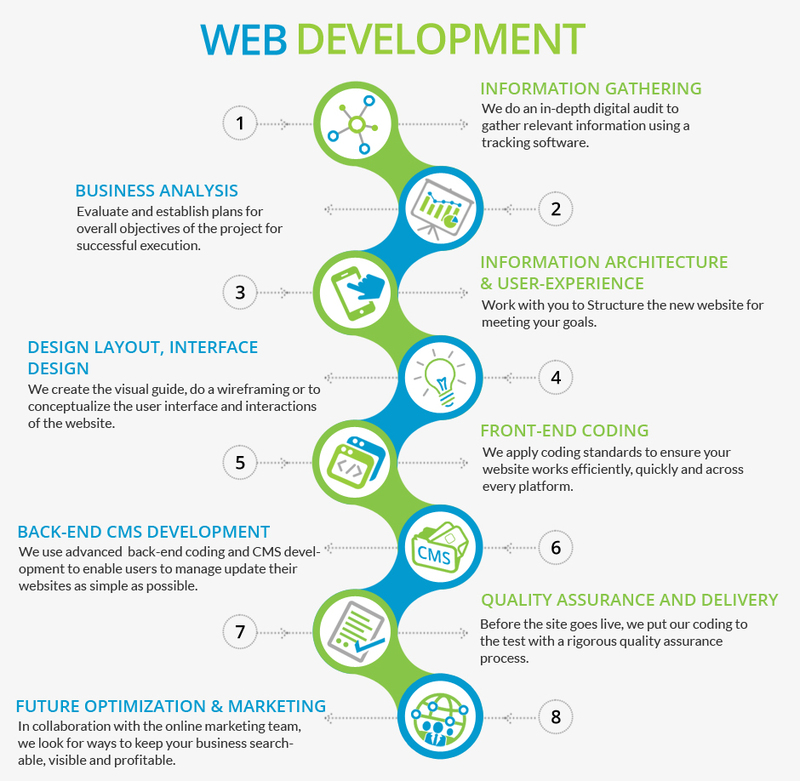 Generally, a website development project is like any other project management task. Hopefully, our quick guide has helped you to fill in any specific gaps, and you now have the confidence required to develop a successful site.